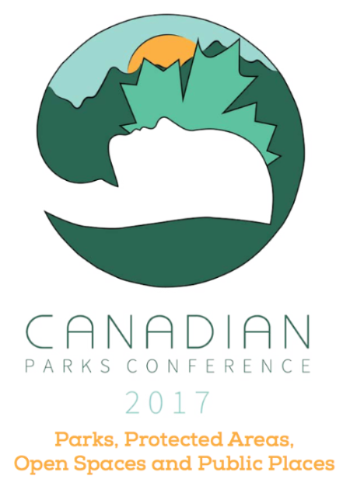 Miistakis Institute eNews: new publication; citizen science program launch; ALSA webinar series; Canadian Parks Conference; Â and so much more! “What do urban and rural municipalities, environmental NGOs, local partnerships, government agencies and large transboundary landscape conservation collaboratives have in common? Miistakis. Any southern Alberta entity that is wrestling with environmental, land use and natural resource management challenges is touched by Miistakis. Positively. The organization has an instinct for relevance. The projects it takes on are timely, of applied relevance and push the envelope. Its broad-spectrum work is consistently done to the highest standards. In addressing the environmental challenges of our time, Miistakis acts as glue, filler and flashlight – making connections, plugging gaps and illuminating a way forward. And it plays well with others. Long may you run!” Ian Dyson, Past Board Member, Alberta Environment and Parks. 2017 is a special year for Miistakis. 2017 marks our 20th anniversary. Twenty years of applied research, conservation action and community engagement. Simply surviving for 20 years as an environmental non-profit is a feat. Surviving and being able to demonstrate significant conservation outcomes is something we are very proud of at Miistakis. As the year unfolds we will be sharing our stories from the past two decades, highlighting our conservation impact, and sharing stories from our partners over the years. We will also be hosting a celebration in the fall and we invite you all to attend. Stay tuned for more details and we look forward to celebrating this special anniversary with you. In February many of us from Miistakis were fortunate to participate in the 2nd annual EcoGathering hosted by Alberta Ecotrust. This gathering brought the environmental sector together to share successes, to learn from each other and to strategize on the most effective approaches to advance our environmental causes. The conference focused on deep dives and breakthrough moments. Highlights for me included Minister’s Phillip’s address where she confirmed her commitment to Alberta’s environment and climate change strategy. Minister Phillips has been unfailing in her commitment to advancing critical, timely and controversial environmental initiatives. Alberta is fortunate to have such a steadfast environmental leader. Other highlights for me included Shannon’s Frank’s presentation on the breakthrough moments of addressing access management in the Oldman Watershed, and an engaging and provoking workshop that challenged how I talk and engage with others on climate change. Tracy and I enjoyed our “Can Participatory Science Open the Door to Better Conservation?” workshop. 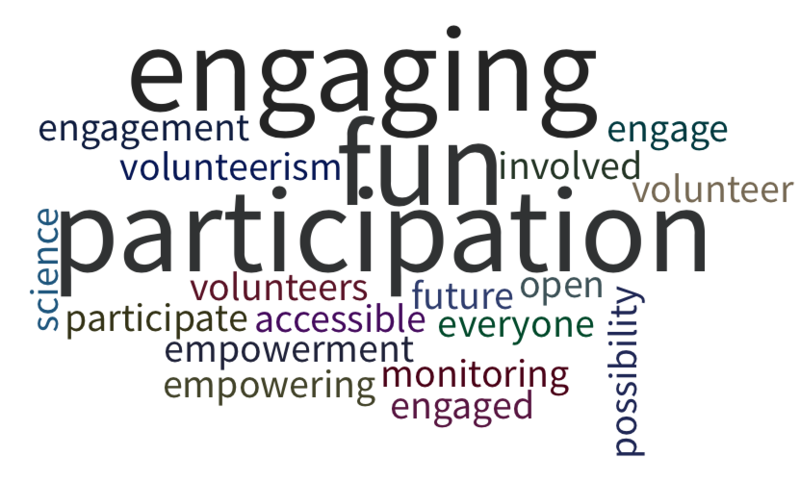 The wordle above came from our workshop dialogue and portrays participant’s response to the question ‘what one word describes citizen science for you?’ Congratulations to Alberta Ecotrust on a successful, valuable and fun event. April Shower bring May Amphibians…? Happy Spring!!! We all know that April showers bring May flowers, but what about amphibians, they love the rain! Technically speaking, they don’t have to wait for rain to become active and kick-off the breeding season; they actually only need ice to be melted off the periphery of wetlands. April 15 is the official start of the breeding season for Alberta amphibians and thus marks the launch of our new citizen science program “Call of the Wetland,” citizens monitoring amphibians! 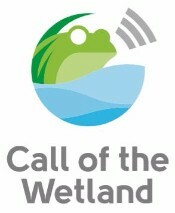 Call of the Wetland aims to engage Calgarians in understanding the health of wetlands through monitoring of amphibians and enabling a connection to nature in the City. In Calgary, 90% of pre-settlement wetlands have been lost. Wetland losses significantly impact biodiversity and ecosystem services important to human well-being. Please be sure to check out the Call of the Wetland website where you can learn more about amphibians and find out how to register for a wetland survey. Federal Environment and Climate Change Minister Catherine McKenna said “Ecological integrity will be my first priority" in national parks. The City of Calgary and the City of Edmonton are doing leading edge work on understanding and conserving the ecological network within their boundaries. Only the health care system, the flag, and the charter of rights and freedoms rank above National Parks in Canadians minds as a symbol of our country. Refugees to Canada from the Sudan, given the opportunity to go out into nature, were surprised that the campfire was a vital gathering place for Canadians, too. The Canadian Council on Ecological Areas (CCEA) is working to interpret the IUCN protected area guidelines to understand how “Other Effective Areas-Based Conservation Measures” (like private land conservation) can contribute to Canada’s effort to protect 17% of the land base. Of the 178,000 instances captured on remote cameras of people in the wildlife corridors around Canmore, 100,000 of them had dogs, and 61% of those were off leash. If you have a big enough helicopter, you can carry a SeaCan filled with bison over a mountain range (for their reintroduction to Banff National Park). 20-30% of the Boreal forest in Canada is under industrial footprint, and about 15% is protected. Canada has ~8000 IUCN-class protected areas, but 10 of these account for a third of the protected area land base. The conservation and stewardship tools in the Alberta Land Stewardship Act (ALSA) can be powerful conservation devices, especially for Alberta’s municipalities. However, many municipal personnel are unaware of these tools (partially because they are not in the Municipal Government Act), and many who are aware of them are only nominally clear on what they are and how they could work in a municipal context. Our thanks go to the funding partners that allowed us to offer these at no charge: the Max Bell Foundation and an anonymous foundation. We should also note that this webinar series was part of a larger project to bring environment and conservation information, tools and research into the hands of Alberta municipalities. Community Conserve is an online forum for municipal personnel to post their environment and conservation issues/ideas, have them converted to project plans, and then crowd-fund the projects. We will be launching Community Conserve later this spring! Special thanks to beef producers who responded to the survey, Alberta Beef Producers, Institute for Environmental Sustainability at Mount Royal University, and numerous Alberta municipalities who helped to crowdfund this research. In Alberta, Canada beef producers share the landscape with large carnivores including bears, wolves and cougars. Interactions between cattle and carnivores can lead to negative outcomes. Beef producers completed an online survey to assess the occurrence and outcomes of cattle-carnivore interaction. The majority of producers report losses of cattle from carnivore depredation. Survey results indicate that Alberta's current compensation program is under-utilized and does not adequately address the financial burden from depredation. 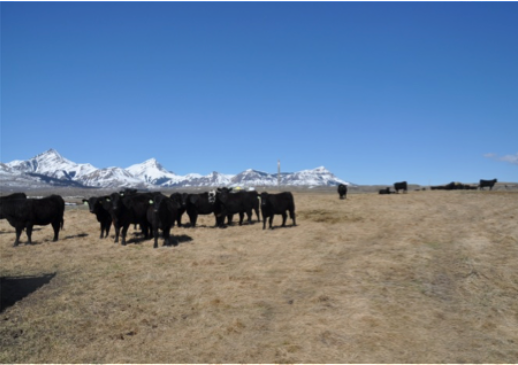 Producers identified a number of problems with the compensation program and we identify areas where dialogue is needed between beef producers and wildlife managers to improve compensation programming. The Miistakis Institute and the Environmental Law Centre have partnered with AUMA and AAMDC to seek information from municipalities regarding how they currently use existing and newly proposed environmental conservation tools, and what resources would best support improved use of these tools. By tools we mean environmental reserves, environmental reserve easements, conservation easements, and the newly proposed conservation reserves. This phase is part of a larger project called Community Conserve which will be a forum for Alberta municipal staff, managers and councilors to post their environmental conservation issues, vote on the priority issues as a community of municipalities, and ‘crowd-fund’ efforts to address the most common issues. The outcomes of this survey will inform future initiatives designed to support municipalities in their conservation efforts. We are getting excited about Community Conserve, our online forum for municipal personnel to post their environment and conservation issues/ideas, have them converted to project plans, and then crowd-fund the projects. Our partners in Community Conserve are the Environmental Law Centre (ELC), the Alberta Association of Municipal Districts and Counties (AAMDC), and the Alberta Urban Municipalities Association (AUMA). The mechanics have all been worked out, and the web site is in the final stages of development. We will launch Community Conserve this spring – stay tuned! Improving Drought Resilience: Forest to Valley Bottom was the main topic of discussion at the 2017 Crown Managers Partnership (CMP) forum in Choteau, Montana in March. The forum was attended by representatives from agencies and NGOs across Alberta, Montana, and British Columbia. The days started with presentations on the science of the impacts drought can have on different ecosystems. Following the science, presentations were given regarding the current management and collaboration occurring to address the impacts. In the management and collaboration section for Riparian Ecosystems, Danah Duke presented on a joint project between the Miistakis Institute and Alberta Riparian Habitat Management Society, also known as Cows and Fish, “Putting Beavers to Work for Watershed Resiliency and Restoration.” The idea of the use of beavers as a tool for watershed restoration and resiliency is gaining momentum in Alberta and the Pacific Northwest of the United States. After the beaver presentation many members of the audience expressed interest for more information on the topic and asked how they could learn more. To help those interested in coexisting with beavers, Cows and Fish and the Association for the Protection of Fur-bearing Animals is hosting a webinar on “Beaver Devices for Managers.” If you are interested in tuning into this webinar please sign up here. Copyright © 2017 Miistakis Institute, All rights reserved.